In its ongoing effort to establish physical activity as the essential element of learning for schoolchildren everywhere, the American Sports Institute submitted and the San Francisco Chronicle newspaper published ASI’s letter-to-the-editor calling upon California Governor Gavin Newsom to increase the emphasis on physical activity and to consider physical activity-based learning for all the state’s schoolchildren. The letter begins by praising the Governor for promoting early-childhood education in his agenda. 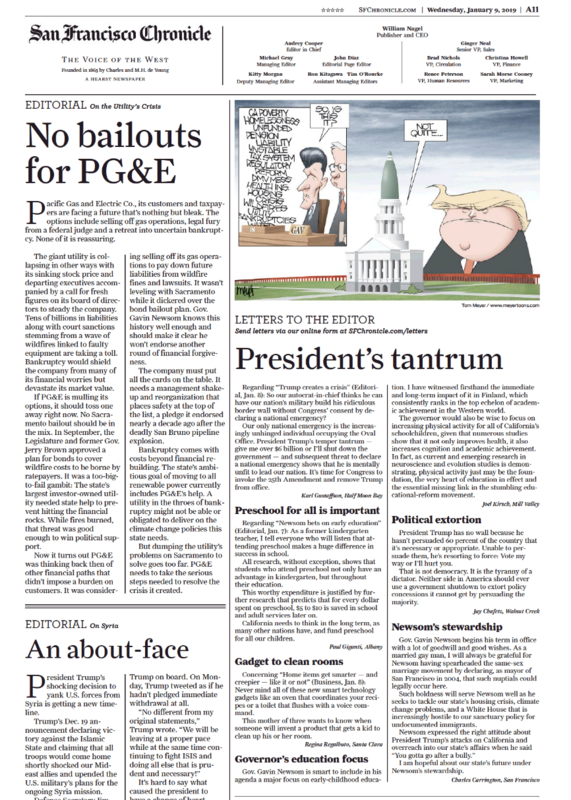 To view the Chronicle editorial page as an image in which the ASI letter appears, click here (png). However, because this is an image, the print is small. For an easy-to-read, text-only version, click here (pdf). Copyright © 2019 American Sports Institute. All Rights Reserved.